There’s a reason cash register receipts for a cup of coffee are often a foot long. It’s the same reason renting a car, taking a commercial flight or staying in a hotel results in countless emails once you’ve returned home. Measuring customer satisfaction through surveys—by phone, email and face-to-face—is a key element in tracking the rise and fall of corporate reputation. It’s a big business with a clear upside for those who make their customers happy. Companies are keen to display the JD Power logo to demonstrate they’ve been judged best of breed in industries from automotive to healthcare. Methodologies like Net Promoter scores can even play a role in executive bonuses. Rankings abound, from the Reputation Institute’s RepTrack lists to annual “best of” rosters. Companies strive to make the grade and proudly herald their achievements. For publicly traded companies, there’s a financial incentive to be seen as socially and environmentally responsible. Inclusion in stock indices like the Dow Jones Sustainability Index or FTSE4Good means big purchases of company stock. Those working in sustainability and corporate social responsibility (CSR) often complain of survey fatigue due to the seemingly endless stream of questionnaires that various ratings organizations ask them to complete. There's also frustration over a lack of transparency in the ratings process. Not knowing how you are faring against peers and competitors can hamper a company’s effort to adjust programs and messaging mid-cycle. It’s little surprise then that new approaches to corporate reputation management are greeted with excitement. A study warranting attention was unveiled during a U.S. Chamber of Commerce Foundation conference recently.Backed by sentiment analysis software from IBM, the objective was to see if companies that were vocal about their CSR received a reputational lift online and, if so, by how much. Sentiment data was examined in 2015 and 2016, pulling from 180 million blogs, 15 million forums and a statistically valid random sample of 10% of all Twitter data during the period, says IBM VP Diane Melley. 28 companies in retail, manufacturing, finance/insurance and information systems were monitored. Of 557,000 general-subject “snippets” about a company analyzed during an 18-day period, 22% of the sentiment was deemed positive, 9% negative and 68% neutral. From that large sampling roughly 18,000 snippets contained words or phrases that matched a glossary of CSR terms that Chamber researcher Lawrence Bowdish compiled. In that set of CSR snippets, 43% were judged to have positive sentiment, 6% negative and 51% neutral. The smaller number of neutral sentiment snippets about CSR topics is statistically significant and indicates companies can sway opinion by talking about topics such as community involvement and disaster relief, he says. During the analysis period, 3.2% of content about a company concerned CSR, a small increase from an initial dive into CSR data Bowdish did in 2015; he also did a six-month analysis to confirm findings he uncovered in the 18-day study. •Talking about CSR is ineffective in reversing existing negative sentiment. •Using a more personable and descriptive writing style for CSR postings is likely to have a positive impact on sentiment. “Too often, a lot of the things we pick up are essentially press releases. You’ve got to do them, I get it. But there’s an opportunity to…change the language about how you talk about CSR to get people to care more deeply about what your company is doing,” Bowdish says. •Large companies, particularly those on the Fortune 500 , have better sentiment than smaller companies. Sentiment improves when companies get larger, but achieving that kind of revenue growth is considerably harder than publishing additional CSR content online, Bowdish says. 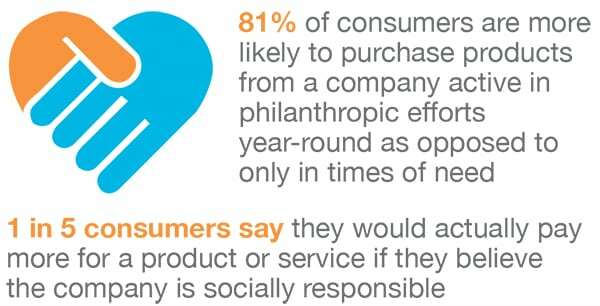 Many of us talk about corporate social responsibility (CSR), but can we define it? 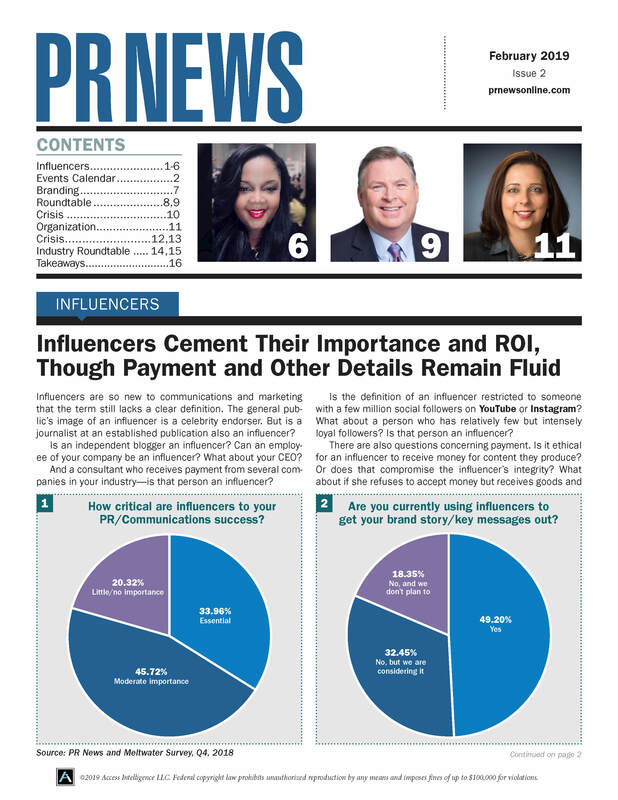 A recent Aflac study, shared with PR News Pro exclusively [it resides at the PRNews Pro Essentials Page], found even communicators who work in CSR have various definitions for it. In a Q&A with us, Catherine Blades, Aflac’s SVP, communications, says, “In the same way a person needs to do many things to be perceived as responsible, so does a company…” Although she admits the lack of a precise definition for CSR “can make things challenging” when communicators are asked “to provide clear concise responses.” While the 103-page study that polled CSR execs, investment pros and consumers concludes a strong brand reputation derived from a public CSR effort is beneficial (it helps sell products, attract investors and recruit and retain employees), nearly 40% of CSR execs believe their company’s leaders are “more concerned with looking good than being good.” And leaders take note: There are few shortcuts. “The age of CSR as a mere PR strategy is behind us,” Blades says. 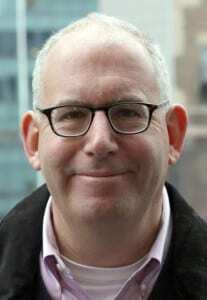 Referring to a finding in the study, Blades adds,“In a time of increased transparency, employees, consumers, investors and others quickly distinguish between window dressing and CSR initiatives motivated by authentic compassion…” And while the study finds the most effective CSR efforts relate to a brand’s business (e.g. a lumber brand acting to preserve forests), some execs admit they choose CSR programs based on their own tastes. A tip: Earned media is the most credible means of conveying to consumers the existence and efficacy of CSR programs.